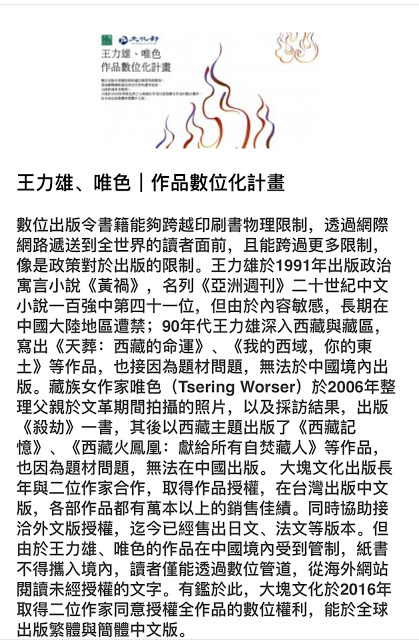 In his recent column ("Behind Dalai Lama's Holy Cloak", 23/5/2007, Republished by the Chinese Government in China’s Tibet, 2007/6, Volume 18), Michael Backman chastised journalists for not challenging the Dalai Lama. In doing so, he resorted to questionable journalistic standards by accusing the Dalai Lama of nepotistic and non-democratic behaviour based on "hard facts" that are either manipulated to sensationalise his case or are downright wrong. Backman alleges that the Dalai Lama advocates greater autonomy for millions of people who are now "Chinese citizens, presumably with him as head of their government". The fact is just the opposite. 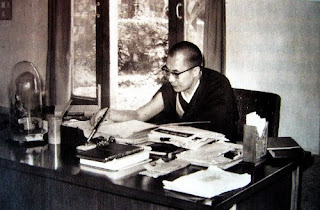 In July 1981, then Chinese Communist Party General Secretary Hu Yaobang announced "China's Five-point Policy towards the Dalai Lama", urging the Dalai Lama to return so he "will enjoy the same political status and living conditions as he had before 1959". 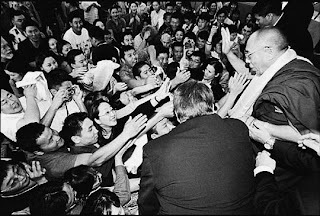 The Dalai Lama rejected the offer and stated that the issue was not his own position in Tibet, but the welfare of 6 million Tibetans. In 1992, the Dalai Lama categorically declared that he would not hold any official position in the government of future Tibet. 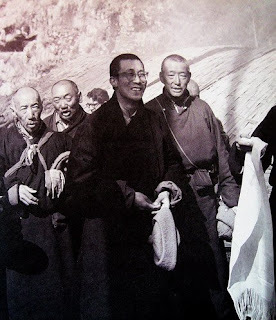 Rather, he would hand over his traditional authority to an elected leader of Tibet and "serve the people as an individual outside the government". It is a fact that the traditional government of Tibet was unegalitarian and inefficient. 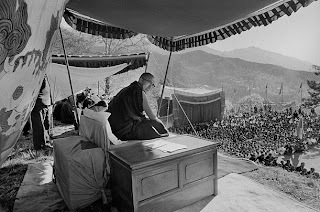 However, when the Dalai Lama was enthroned to be the leader in 1950, he was merely 15 years old, and faced the daunting task of handling the invasion and occupation of Tibet by Communist China. 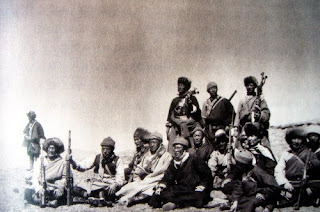 In exile, as part of an anti-Communist campaign, it is true that the American Government supported the Khampa guerilla resistance force till early 1970s. However, it is not true that the Dalai Lama was "personally" paid $US15,000 a month by the CIA. As it is the case today, he was kindly hosted by the Indian Government as an "honoured guest". 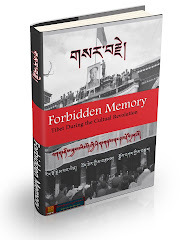 The fund was not even part of the budget of the Tibetan government in exile. In actuality, the main source was not the CIA, but fulfilment of a pledge made by US ambassador to India Loy Henderson in 1951. 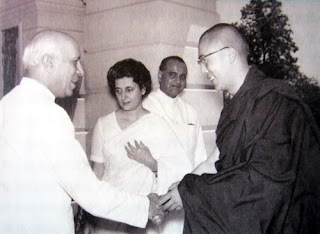 On the advocacy of non-violence, the fact is that the Dalai Lama sent an emotional appeal on audio tape to the Tibetan guerillas in early 1970s, telling them to disarm. This message demoralised many of the fighters, and a few even committed suicide. Soon after that message from the Dalai Lama, the camp disbanded. The budget of the Tibetan government in exile totals approximately $US20 million ($A24 million). It is openly debated in yearly Tibetan parliament budgetary sessions for two weeks, and allocated transparently. Compared with other refugee groups, the Tibetan government in exile is arguably the most efficient and effective in providing service to 130,000 Tibetan refugees with such limited budget. Still, the general impression is that the Dalai Lama must be raising millions of dollars. On the contrary, strict rules apply to the Dalai Lama's visits abroad that these cannot be used for fund-raising purposes. During his trip to Australia, as is true everywhere, his organisers are instructed to charge fees only to cover the actual expenses of the event. More impressively, the Dalai Lama does not charge even a penny for speaking fees. He speaks for free so that he will be accessible to as many people as possible. Perhaps the most irresponsible reporting in the column is the accusation that the Dalai Lama "has been remarkably nepotistic, appointing members of his family to many positions of prominence", like many Asian politicians. The facts are as follows: as per his specific instruction, a provision was introduced in the Tibetan constitution of 1963 and the Charter of 1991 that the Dalai Lama can be impeached by the parliament. 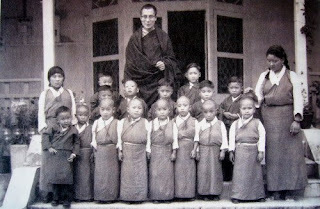 From 1960 to 1990, the Dalai Lama had the sole constitutional power to appoint exiled Tibet's cabinet ministers, heads of departments, and members of parliament. He never appointed anyone from his family as ministers, parliamentarians or heads of departments. Only his brother-in-law served as the head of the Security Department and his elder brother headed a fledgling start-up (the Tibetan Medicine Institute). 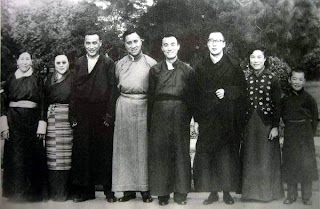 As a matter of fact, from 1978 to 1986, the Gayong Mimang Tsokcheng, the highest decision-making body, discussed and consistently recommended that the Dalai Lama appoint his elder brother Gyalo Thondup as the Prime Minister. Each time, the Dalai Lama declined. 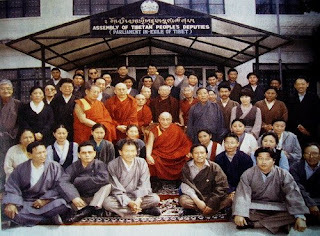 In 1991, as part of democratic reforms, the Dalai Lama delegated the power to appoint the cabinet to the parliament, which since 1960 has been directly elected by the people. Ironically, the parliament began to elect members of his family, and the most high-profile was his elder brother Gyalo as the Prime Minister. The elder brother played a key role in seeking US Government support in 1950s-60s, and paradoxically he was also instrumental in opening a dialogue with the Chinese Government in the early 1980s. Nonetheless, he is controversial partly because of his autocratic personality. Not surprisingly, Gyalo was eased out without completing his term as the Prime Minister, partly because of his incapability to cope with a democratic-environment-in-exile polity. 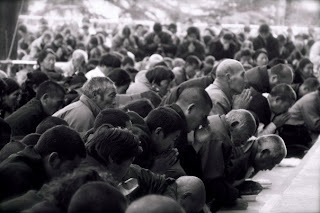 In 2000, another reform was instituted by the Dalai Lama, requiring exile Tibetans to directly elect their Prime Minister with full administrative power except in dealing with China. Tibetans in 27 countries voted on a single day, with more than 80 per cent electing Professor Samdhong Rinpoche as the first Prime Minister. He didn't appoint any member of the Dalai Lama's family to his cabinet. 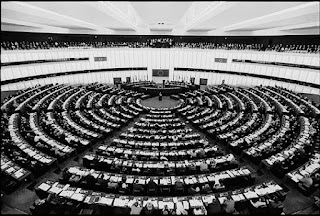 In the parliament, only a nephew was elected as an ordinary member among 46 parliamentarians and he faced disciplinary action for violating parliamentary rules and regulations. Clearly, the experience of the Dalai Lama's family in the nascent Tibetan democratic system reflects that they don't necessarily get a free ride. More importantly, the Dalai Lama never appointed his family members to positions of influence, even when he was permitted to do so (1960-90) and those who did were elected by the parliament. The truth, then, is far removed from Backman's claim that the Dalai Lama "appointed" his family members to positions of prominence. Finally, Backman's suggestion that had the Dalai Lama "stayed quiet", possibly "fewer Tibetans might have been tortured, killed and generally suppressed by China" sounds comically naive and hypocritical. 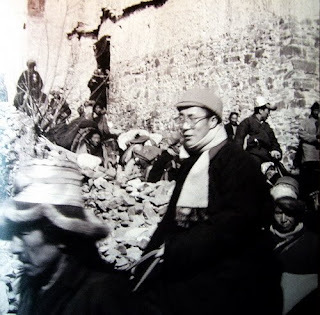 Firstly, between 1960 and 1972, when the Dalai Lama was "quiet" and never ventured outside of India, Tibet went through brutal suppression under China, when thousands of people perished. 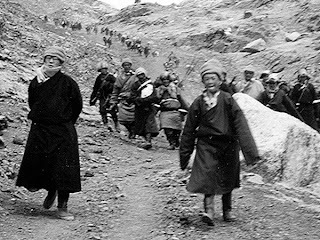 From 1973 to 1986, the Dalai Lama made limited trips abroad, but suppression continued. From 1987 to 2007, when the Dalai Lama made the most trips abroad and finally put Tibet in the international map, Backman suggests he keep quiet. It is hypocritical to suggest the Dalai Lama refrain from speaking out for the welfare of 6 million Tibetans when Backman himself speaks out and writes columns and books to pay his rent and put food on his table. Last time I checked, free speech is universal. It is noble to speak for millions of suffering people, and especially to speak out against authoritarian regimes. It is certainly not just the privilege of the few to make a living by criticising others. Dr Lobsang Sangay is a scholar on Tibet at the law school of Harvard University and is one of the twenty-four Young Leaders of Asia.